Summer Sun Working Group Meeting Tuesday June1st, 2010. Our next meeting: A Summer Sun Working Group meeting will be held at 7425 Netherwood Drive, Lancaster School in the Library. We will be working on the planning of our Summer Trip to Wildwater Kingdom and Fall Apple Picking. 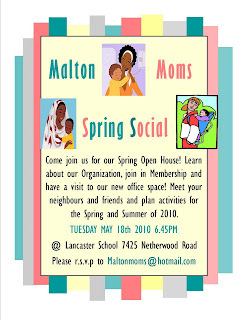 A warm welcome out to our Spring Social, Open House and Priority Setting Meeting for 2010. We are anxious to gather together again to see one another, catch up and design our gameplan for the Summer ahead. 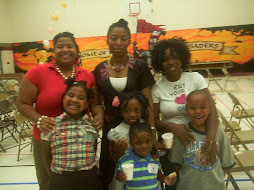 As always, all Moms from the neighbourhood are welcomed, as well as their children. We will have refreshments and we will meet in the school Library of Lancaster Public School on Netherwood Road at Morningstar Drive. 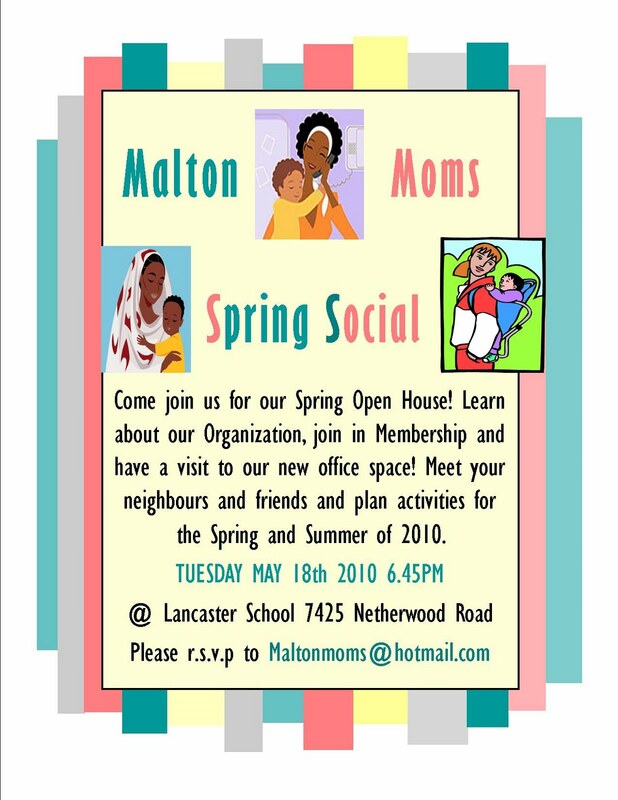 please email maltonmoms@hotmail.com to rsvp. We will have a free giveaway of 2 Kidnetix Playplace tickets to draw from.